Last week’s Autumn Conference in Birmingham was widely heralded as a great success for the Liberal Democrats, and CSLD can attest to this personally, after a number of officers attended. It was not just an opportunity to reflect on the successes of Lib Dems in Government – from the Green Deal, to the recent and significant changes made to the Healthcare Bill – and look towards the challenges ahead, but an opportunity to consider the strength of the party in Cambridge, too. The contingency from Cambridge attending Conference was great: students, local party officers, councillors and activists featured, as well as Andrew Duff MEP, former city MP David Howarth, and our current representative Dr. Julian Huppert. 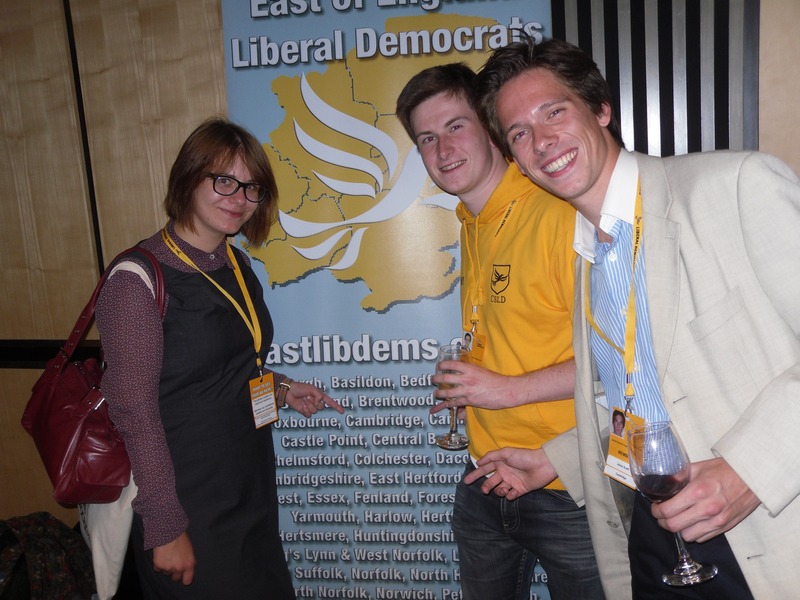 All were present at the East of England drinks reception, attended by party president Tim Farron, who rightly congratulated the region for its graft and its achievements. Julian himself gained prominence at a number of fringe events, and by successfully proposing the motion to Conference on the digital economy; in particular, the need to repeal the failed and draconian elements of the Digital Economy Act, jointly carried by the Tories and Labour through Parliament at the fag end of the last Government. It served as a reminder that Liberal Democrats best represent the protection of civil liberties, a fair judicial system, and effective management of the economy and its actors. These values are firmly embedded within our parliamentary party, the Cambridge branch and CSLD. 5 May, Thursday night was clearly a tortuous evening for Liberal Democrats across the country: our support sapped away in many parts of Scotland to the SNP, as well experiencing defeat in Wales; hundreds of hard-working, decent local councillors lost their seats up and down the length of England; and an invaluable, once-in-a-generation opportunity to finally scrap the discredited First-Past-the-Post system was firmly rejected by the nation. Nonetheless, Cambridge Student Liberal Democrats were pleased to see that our city faired much better than other parts of the UK, and that – in spite of the necessary challenges posed by deficit reduction, as well as the compromises of Coalition – thousands of us chose to reaffirm the area’s great Liberal tradition. It was heartening to see excellent councillors in the student wards – like Julie Smith of Newnham, Philip Tucker of Castle, and Andrea Reiner of Market – retain their seats, so that they might continue to serve the city and universities well. I am sure that the successful defence of these wards was at least in part because people knew that our local Lib Dem MP, Dr. Julian Huppert, voted against a rise in tuition fees, and that the party being in government has secured a fairer deal for students and graduates. I am sure, too, that the electorate were well aware of the commendable work our councillors have done in the city, such as fighting the Tory County Council cuts to bus services, or that – in contrast to the Conservatives and Labour – no Lib Dem council in the country has decided to close down a SureStart centre. CSLD were also pleased to note that Cambridge voted clearly to change the electoral system, and adopt AV. Lib Dems have persistently made the case that First-Past-the-Post is not fit for purpose, and CSLD has been at the forefront of the campaign for fairer votes for many months now. And even though the referendum result is a bitter disappointment, that should not diminish the great constitutional reforms Lib Dems in Government have already achieved: fixed-term parliaments, equal-sized constituencies, more power given to Commons backbenchers. With the right to recall corrupt MPs and an elected House of Lords also in the works, it is clear that Nick Clegg and the rest of the party are doing all they can to improve this nation’s democracy. Thousands of Cambridge residents and students backed the Liberal Democrats this week, recognising our achievements in Government, in spite of the considerable difficulties we face, and appreciating the invaluable role we play on the streets of the city, as well as in restraining the Tory menace in Whitehall – not least, in forcing the Conservatives to seriously amend their reforms to the NHS. We will not let the people down. Today, students come back to Cambridge to find the election campaign well and truly underway. On Thursday 6 May, Cambridge will elect a new MP. With Cambridge’s excellent Lib Dem MP David Howarth retiring, we can’t be complacent – though we have an outstanding new candidate in long-time Cambridge activist and fellow of Clare Julian Huppert. Remember, at the last election, David Howarth overturned an 8,500 Labour majority on the third-largest swing in the country, and the election before that Labour had a 16,500 majority in Cambridge. Labour are closely contesting this seat in what looks like being a tight Lib/Lab fight. The Tories, in third place on 17%, and the Greens in fourth place on 3%, are not serious candidates in Cambridge. If you can help in any way at all, then please fill in the form at http://tinyurl.com/helpcsld , or just turn up to volunteer at our HQ in Wellington Court. STOP PRESS: Former Lib Dem Leader Charles Kennedy will be coming to Cambridge on Thursday morning, for a walkabout in Market Square – all are welcome. Just come along at 10:45am on Thursday 22 April. Lib Dem leader Nick Clegg was in Cambridge today. He spoke at a packed CSLD meeting of over 200 students in Trinity Hall, and took questions, including reaffirming the Lib Dems’ commitment to scrap tuition fees. 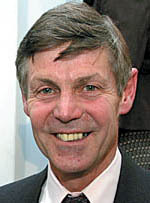 Times columnist and former Conservative MP Matthew Parris recently wrote about his one-time membership of Cambridge University Liberal Club – you can read his comments at http://www.timesonline.co.uk/tol/comment/columnists/matthew_parris/article6987062.ece. 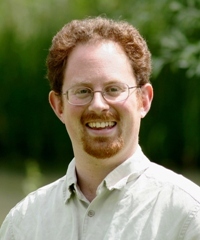 Dr. Julian Huppert has been selected by Cambridge Liberal Democrats to be their candidate at the next general election, after David Howarth announced he was standing down. Like David before him, Julian has long been a stalwart of CSLD, and signed up when he was a fresher in the mid-1990s. He was later Treasurer of the society, and became a highly active Cambridgeshire county councillor while pursuing an academic career. He is currently a Fellow of Clare College working in DNA analysis, and is a member of the national council of Liberty. We very much look forward to working with Julian to get him elected in the coming months – as all who know him will testify, he has the intellect and integrity to make a first-rate MP for Cambridge. Archives always hold surprises, and one of the nicer surprises in Cambridge University Liberal Club’s past was to find that one of its earliest speakers was Oscar Wilde – not generally known as a Liberal, although he alternately dabbled with elements of socialism, libertarianism, and fully-fledged cynicism. 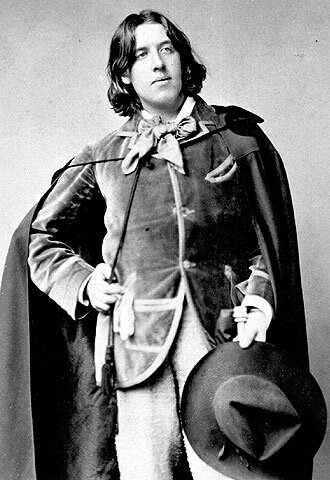 On 20 November 1889, sharing a platform with the Liberal peer Lord Monkswell, Oscar Wilde spoke to a meeting of the society in Gonville and Caius College. Access was tightly controlled, with tickets needing the signature of one of the two club secretaries.